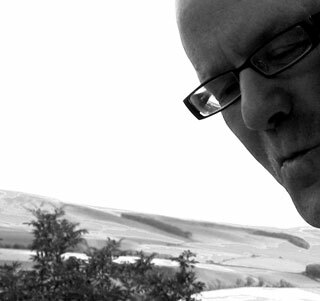 is a composer and sound artist living in Southern Scotland. His work focuses almost exclusively on the development two long term projects: The Borders Archive, a digital archive of sounds from the region in which he lives, and the production of new live and recorded work from a collection of mostly hand made acoustic and electronic instruments. In his conceptual investigations of sound in all its forms he works across performance, installation, instrument building, regional sound archiving, field and studio recording projects in order to produce work for fixed media and sound installation. His installation work focuses primarily on conceptual sonic art which investigates close listening by means of multi-channel sound.